Blackjack is very unique casino game. Unlike luck-based games like slots or roulette, blackjack can be beaten using strategy. It’s impossible to win every single hand, but using good blackjack strategy can give players an edge over the house, letting them come out ahead over time. Over the years, blackjack strategies have been developed by gifted players, mathematicians, and other blackjack fans. Below are the books they have written to help players around the world learn how to beat the dealer. 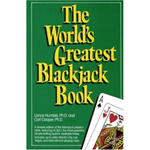 Some of these black jack books are quite heavy, filled with statistics and mathematics, complex card counting techniques, and detailed strategy charts. Others are much simpler, offering theorietical strategies and tips. Most are wildly entertaining, filled with humor and interesting stories from eccentric personalities like Stanford Wong or Ed Thorp. These books are required reading for anyone serious about mastering the game of blackjack. Many of the authors featured here have a place in the Blackjack Hall of Fame – this is definitely not a coincidence! 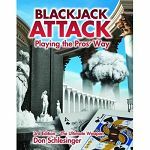 Whether you’re looking for the best blackjack card counting books or basic black jack strategy books, this list is a great place to start. Use the “Buy now” button to purchase any of these books on Amazon.com. One of the largest blackjack teams in America is made up entirely of Christians. While they succeed at winning millions, how will they find a place for faith in card counting? Holy Rollers is undoubtedly the best documentary about blackjack card counters ever created. If you are a blackjack player, we guarantee you will love this. Read the Dealer is concerned with basic strategy, statistics or any of the usual advanced player techniques. Instead it peers into the psychological responses of dealers that anyone regardless of their other blackjack skills could profitably employ. 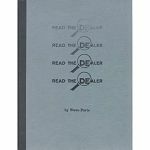 Although much of the content in this book is now outdated since most dealers are aware of these “tells”, it is still very useful particularly in non-US casinos. Published in 1986 the book is currently out of print and extremely hard to get a hold of. 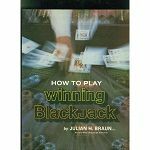 Originally published in 1969, this is the hallmark blackjack book that started the revolution within blackjack that led to all the innovations and developments that happened afterward. Lawrence Revere had been a professional player, dealer, pit boss and casino owner since 1944 and knew every aspect of the game the way no one else before him had. Taking it even further the book includes helpful visuals like strategy charts. Even though the focus is on single deck games, it is still considered required reading. Without question one of the most exciting and influential books in Blackjack. Edward Thorp was an MIT mathematician who borrowed money from mobsters and tested his theories in Vegas before publishing his findings in this New York Times bestseller, instead of going the traditional academic route. His gamble paid off and Edward Thorp is considered the father of card counting and a pioneering legend in blackjack. 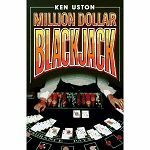 Ken Uston is one of the games’ most famous players and authors on the subject of blackjack. He is considered one of its greatest contributors both in his contribution to theory and publishing. In Million Dollar Blackjack, Uston is at the very top of his form describing advanced counting methods, front play, spooking and his outrageous ideas on camouflage. Published in 1981, it is still widely read for his descriptions of tournament play techniques not to mention Uston’s outlandish and brilliant style. 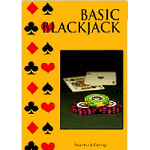 One of the most useful books on blackjack, this is a complete introduction to basic strategy and a powerful reference for its comprehensive list of game variations. 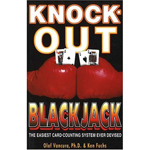 It includes information on winning without card counting, and is written in easy to understand language with Wong’s hilarious style. 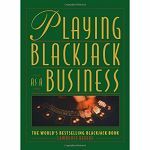 Some of the techniques inside have lead Las Vegas casinos to update their rules, but many other destinations still play the blackjack variations that this book provides profitable legal means for getting ahead on. 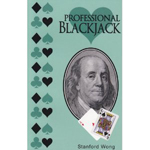 One of the best blackjack card counting books out there, Professional Blackjack was the title that propelled Stanford Wong into the upper echelons of the Blackjack world, with its descriptions of a technique now described as “Wong-ing.” A complete explanation of the High-Low counting system, double exposure and how to handle larger four shoe decks instantly made Wong a force so unstoppable that casinos had to modify their rules. 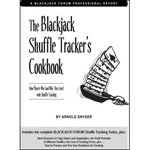 Arnold Snyder is the foremost leading author and expert on the subject of blackjack, the self proclaimed “Bishop of the Church of Blackjack.” With numerous titles on specialized aspects of the game he is able to cover everything in a compact and straightforward ‘HOW TO’ format. In 21 powerful chapters readers are lead through a training process to learn everything from the basic rules and strategy to how to master the most powerful techniques for winning at the casinos. What is shuffle tracking and why is it so difficult to understand and use in real life? 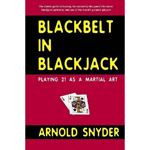 In this brief and highly readable black jack strategy book, Snyder breaks it all down in easy to read language. Shuffle tracking, also called ace tracking, is the alternative to card counting and just starting to blossom as an advanced playing technique. Once the basics are laid out using the appropriate cookbook and recipe analogies more complicated and never before revealed techniques are explored. 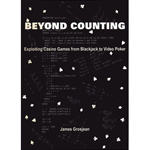 Required reading for all serious blackjack players, this is the masterwork of one of blackjacks greatest thinkers and the man who helped with the calculations in both Lawrence Revere’s Playing Blackjack as a Business and Edward Thorp’s Beat the Dealer before working with Lance humble to create the best counting systems in practice today. 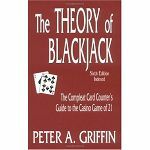 The Theory of Blackjack is mostly concerned with the mathematical basis of the game: exploring possible side strategies and variations in several card counting systems. Author: Ken Fuchs and Olaf Vancura, Ph.D. Anyone familiar with blackjack knows the basic theory behind card counting. The problem for most players is the complexity and distractions that take something that is theoretically easy and make it difficult or impossible to practically employ at busy casino tables. With the average player in mind a new unbalanced counting method, the KO count was created and clearly described so that blackjack players can easily get an advantage over the casino. The book contains a wealth of useful information. This book is a straightforward and conceptual explanation of basic blackjack strategy compiled by one of the greatest mathematical geniuses in the history of blackjack. The book is presented without a lot of ego or frills, making it a world class instruction manual. It is designed to teach players all of the ins and outs of the game, helping them to master and beating the game of 21. The book comes highly recommended by other members of the Blackjack Hall of Fame, such as Al Francesco. For serious players interested in never-before-seen play techniques this hard to find book may very well be a good investment. The straightforward language is well written, however it is not for beginners as the mathematical analysis and insights are the big draw. Grosjean is considered the inheritor of Peter Griffin’s crown as this generation’s blackjack math guru. But unlike Griffin he also provides psychological insights that are often over looked and may play an equal role in winning. 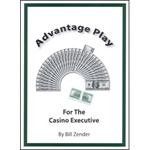 One of the greatest books ever written on the all important basic strategy of blackjack, Bill Zender is famous for being a casino manager, gaming control agent and author. A broad subject range is covered on such advanced topics as: shuffle tracking, reading the dealers hole card, warp hole card strategy and tell strategies. Also included is information on rolling rhythm for craps and roulette wheel bias. If you want to know what the casinos already do this is must read. 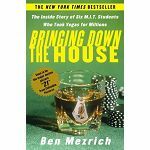 Considered one of the greatest card counting books ever written several advanced techniques are explained in detail: back counting shoe games, team play, win rates, betting techniques, statistical insights and the “Illustrious 18″ and “floating advantage” topics never before covered. Schlesinger also teaches you how to evaluate new rules and strategies. Newer editions include a great deal more content and a comprehensive index so make sure you’ve got the most recent edition of this excellent book. 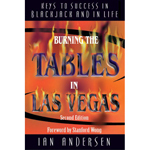 Burning the tables in Las Vegas is the sequel to another book, Turning the tables on Las Vegas. Both are excellent but the sequel makes our list for priceless strategy advice for the unique issue of high stakes bankrolls. With a forward by Stanford Wong, this is an instant classic for advanced and professional players who want to avoid problems with casinos if you want to be a high roller playing at the professional level. The story that made casino blackjack an adventure premise and MIT mathematics students swashbuckling heroes, this is the true story of the MIT team. Starting with a group of intelligent mathematically inclined college students trained in the essentials of card counting and team play they managed to extract millions of dollars from casinos world wide. Their fantastic circumstances and success also met with equally fantastic problems and counter strategies. Don’t miss this one. In his new book, legendary card counter Edward O. Thorp will take you on a journey from casinos to Wall Street. 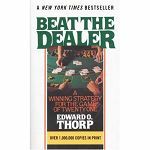 All professional blackjack players are familiar with Thorp’s name ever since he published his iconic book, “Beat the Dealer”, which popularized card counting and changed the gambling landscape forever.